Pre-heat the oven to 400 degrees. 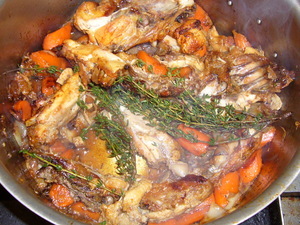 On top of the stove, heat a heavy roasting or braising pan over medium-high heat. 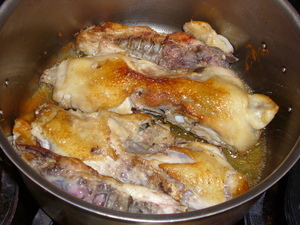 Add the oil and chicken bones and cook, stirring, just until well browned. 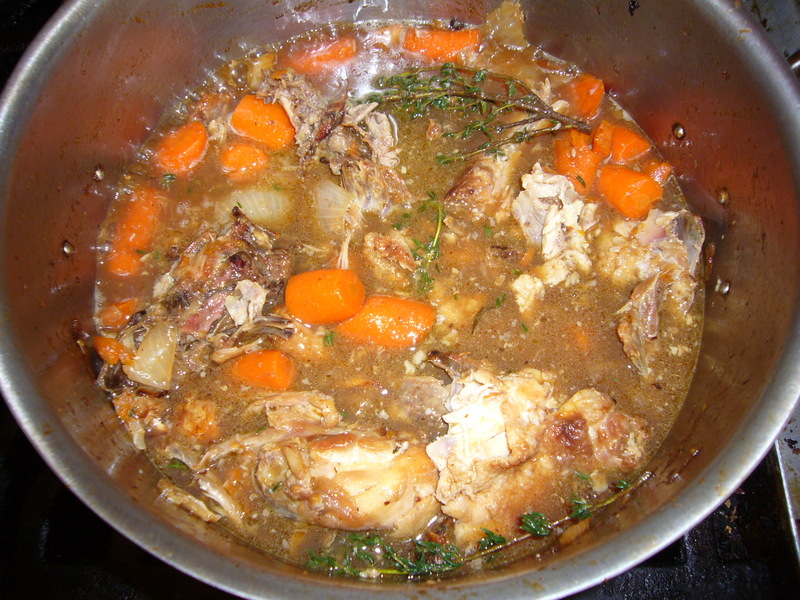 Coarsely chop the carrots and onion. You want about 6 chicken backs, more if small, less it really big. Roast in the oven for about 15 minutes. 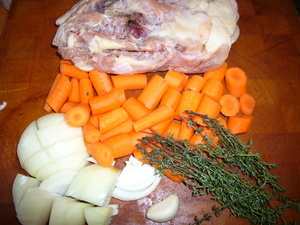 Add carrots and onions and continue roasting until bones and veggies are well caramelized. 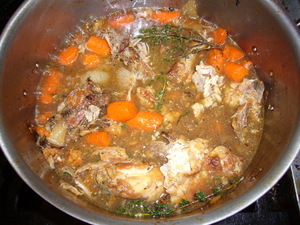 Then remove from oven and add thyme and stock. Simmer over medium heat till reduced to about a cup. 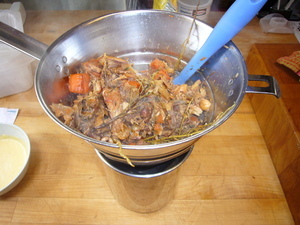 Strain through chinois or very fine sieve, pressing on solids to extract as much as possible.